Over the last 35 years, there has been transitioning change in the printing industry, just as it has occurred in many other industries. However, for reprographers such as BPI Inc., change has been evident more so in the last 5 years. BPI Inc.’s reprographic world has become an inclusive and seamless combination of traditional and contemporary business. Traditional technologies include printing equipment, hard copy printing, blue line prints, and color printing. While contemporary business has come to include digital scanning of existing hard copies, digital plan distribution, and digital close out at the end of a traditional building project. BPI Inc. witnesses the interesting blend of traditional and contemporary coming together on a daily basis. As a case in point, our offices recently entered into a partnership with a global mining manufacturing company. The manufacturing company was faced with the task of hiring and managing additional resources to perform a large in-house scanning project. BPI Inc. was able to save our partner time, money, and resources by outsourcing and managing the scanning work within our own facilities. Another contemporary innovation and technological advancement utilized in several of BPI Inc.’s client partnerships is eCommunication, referred to in short as eComm. eComm provides the owner of a project with the ability to monitor, in real-time, all project activity hour-by-hour as the project develops. That means information is timely, project workflow remains smooth, and confusion and inaccuracies are minimized. In a more traditional way, BPI Inc. continues to install, service, and maintain printing equipment using various approaches, from cost per copy programs to leases to straight purchases. All systems provide our clients, from major energy companies to manufacturing resources to subcontractors, with the ability to print in-house, on demand, day or night at extremely affordable prices. For the last 55 years, BPI Inc. has flourished in partnerships with clients and seamlessly transitioned them from one stage to another. We will continue to partner with our clients and make these transitions smooth and successful ones for many years to come. BPI continues to make the transition from a well-respected reprographics company to a full-service industry partner. 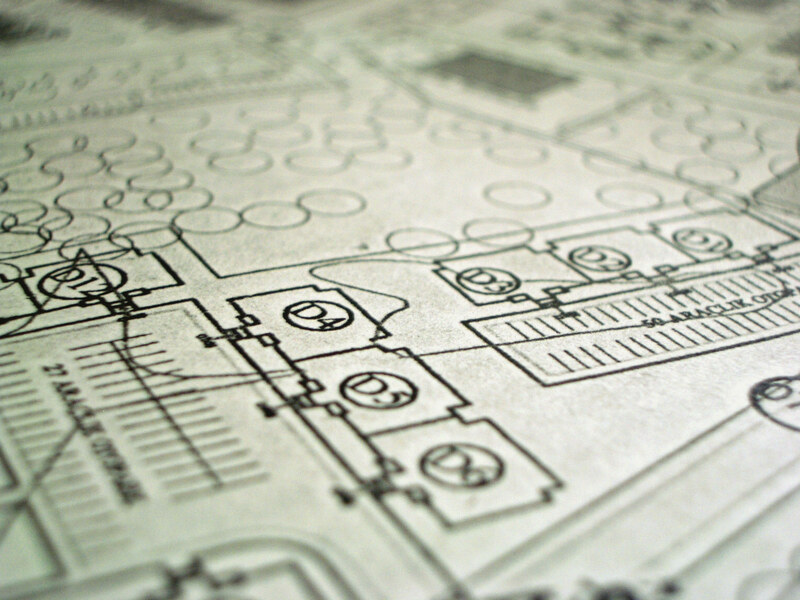 Over the last 56 years, we have managed printed media throughout the building cycle for our valued clients such as engineers, architects, owners, general contractors, and subcontractors. As the industry continues to evolve, BPI evolves with it–right into the world of digital and electronic media. 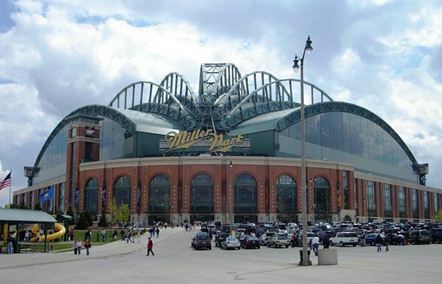 Recently, we invited some of our valued clients to Miller Park for Construction Technology Seminar that included a historical review of how BPI began in this industry and how we developed and transitioned into the construction technology company we are today. We offered a detailed demonstration of eCommunication (eComm) which was very well received by our guests. In most cases, attendees determined that eComm would be a great time- and money-saving digital document tool for their companies. After the eComm demonstration, BPI’s guests were treated to a fantastic Classic Tailgate buffet and a somewhat-surreal behind-the-scenes tour of Miller Park. Guests even had the opportunity to meet Milwaukee Brewers, Rickie Weeks and Mike Fiers. 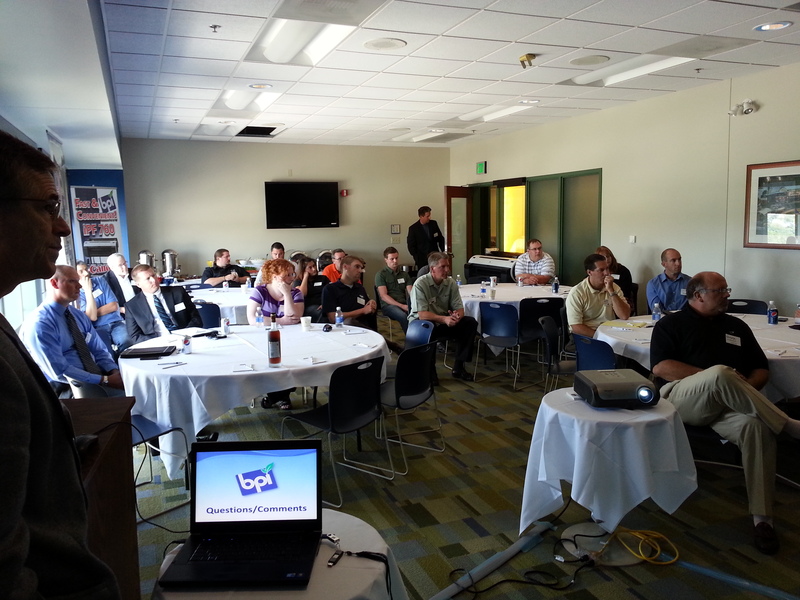 For those who were unable to attend BPI’s Construction Technology Seminar, we would be most appreciative of the opportunity to come to your location and present the eCommunication software to you.